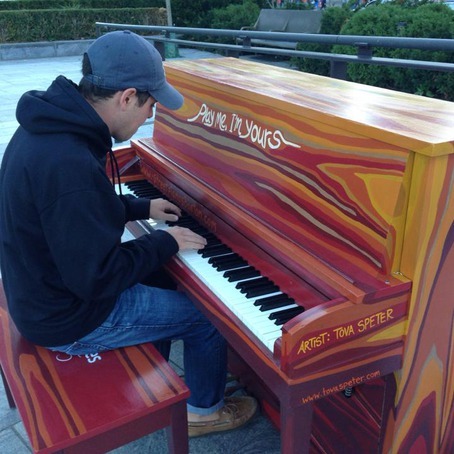 Piano decorated by Tova Speter (location change), hosted by Greenway and donated by Berklee College. I am a songwriter and recording artist living here in Boston. 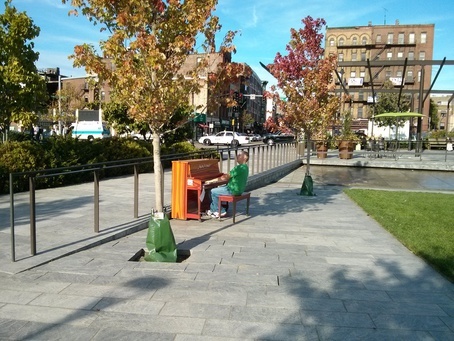 I used several of the pianos in this video (second verse!). Thanks for providing such cool locations and visuals! 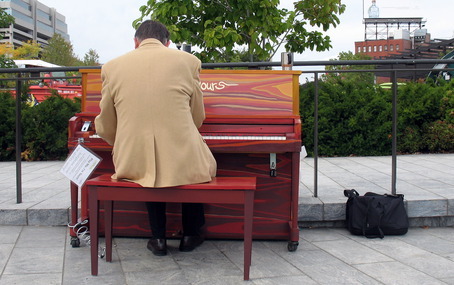 This documentary follows artist and art therapist, Tova Speter, and the piano she was chosen to design for the Boston installment of "Play Me, I'm Yours." 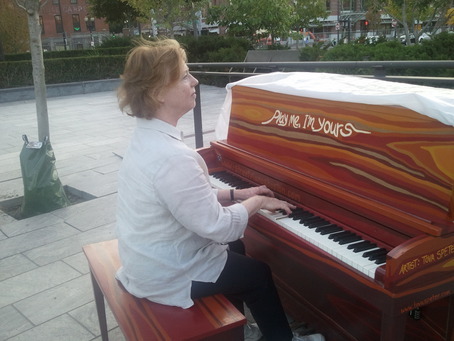 Sally Wilson plays the North End Park piano on her walk from Fort Point Channel to North Station. 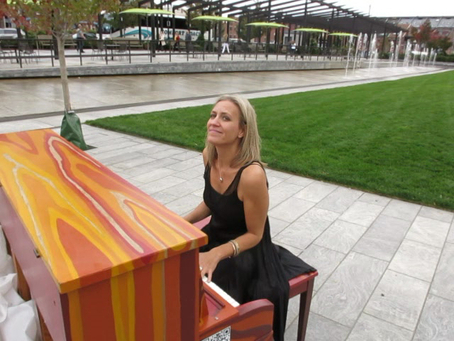 Sally is the designer/team leader for the piano at the Mary Baker Eddy Library location, at the Christian Science Center. 200 Mass. Avenue. 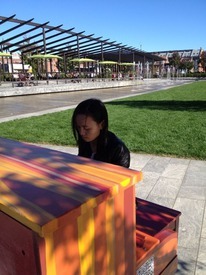 She is working on playing as many pianos as she can. Cambridge is next! 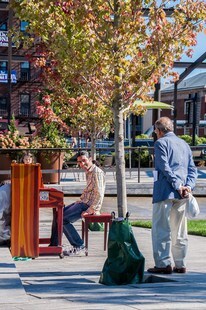 Enjoying the great weather and music! it was a beautiful day with lots of great people!